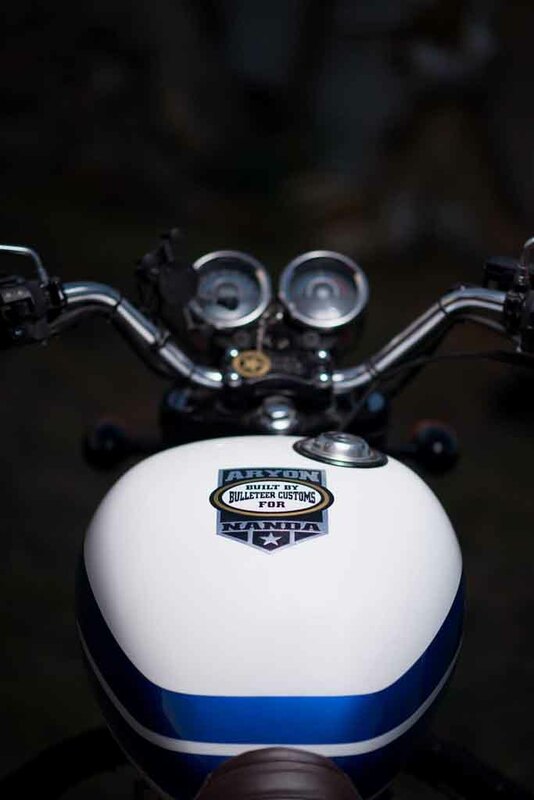 Bulleteer Customs is known for customising the Royal Enfield motorcycles and giving them unique look. While customisation jobs can cost a whopping amount for the owners, the modifier has come up with a budget friendly solution for those owners who are keen to give their machine an unique look and tight on budget. Here we have a Royal Enfield Thunderbird 350 customised with eye-catching paint scheme, new headlamps etc. The modified motorcycle appears with a very unique look and it grabs attention very easily. 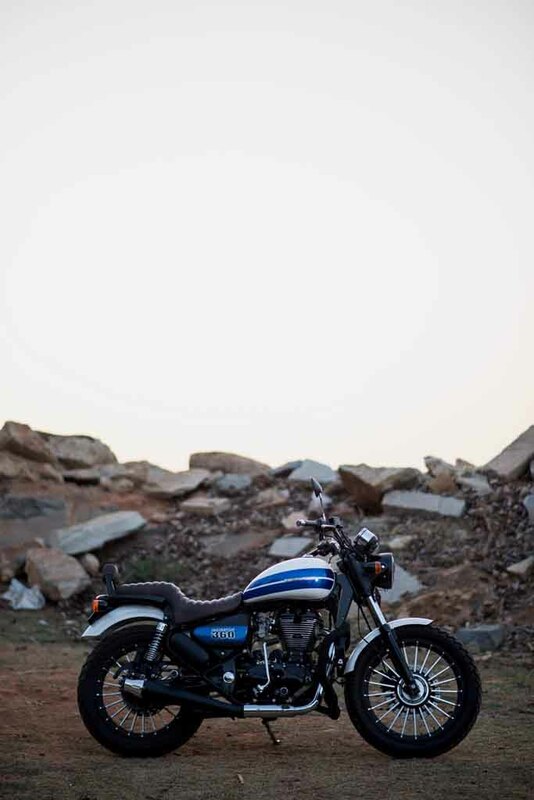 Based on the RE Thunderbird 350 and christened as Aryon 360, the motorcycle comes wearing a stylish White and Blue paint scheme. The LED cluster projector headlamp with Black bezel gives it a distinctive look. The twin-pod instrument cluster is intact, but it sports a custom handlebar. The fuel tank appears with similar shape and design, but the custom paint has done a good job to enhance the motorcycle’s appeal further. A retro looking Brown tan leather seat increase the cruiser feel of the machine while the custom crash guard with black rope wrapped around makes it bolder. The LED taillight also comes with revised appearance. 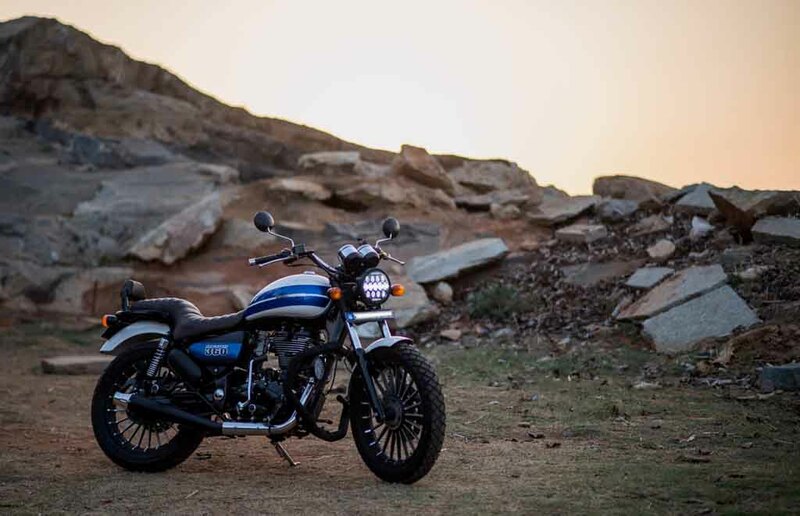 The customised Royal Enfield Thunderbird 350 comes sporting a new exhaust. Both the front and rear mudguards are painted in White, while the custom alloy wheels wrapped in 110 mm front tyre and 130 mm rear tyre give the motorcycle a very aggressive look. Braking and suspension setup remains unchanged. 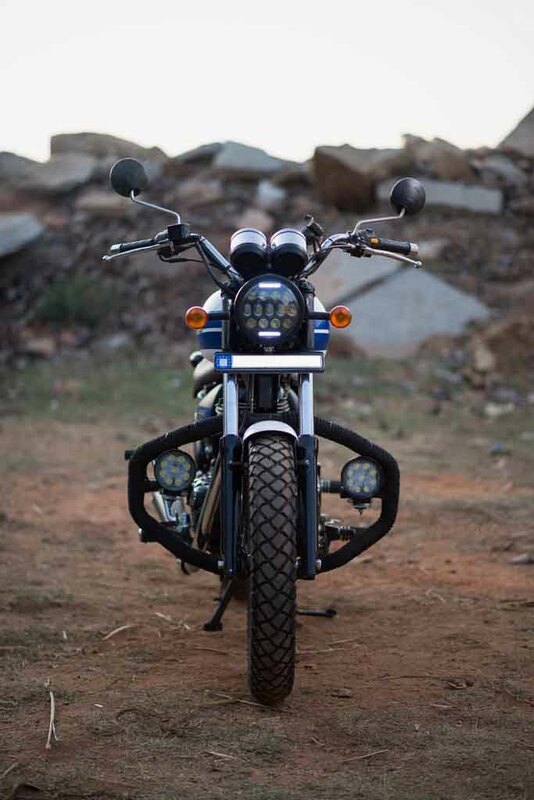 The company claims, these mod-jobs can be done on any Royal Enfield motorcycles built after 2010. The engine area of the customised model gets a full Black treatment, but no tuning has been made. The 346 cc single-cylinder, air-cooled engine is mated to a 5-speed gearbox and churns out 19.8 bhp of peak power at 5,250 rpm and 28 Nm of peak torque at 4,000 rpm.